Advances in luminous efficacy results in a delivered luminaire efficacy of 110lm/W. Designed as a direct replacement for conventional surface mount T8-Tubes across standard sizes of 1200mm, 1500mm & 1800mm, as well as suitable for new installations across a range of commercial applications. Conventional design for direct replacements of traditional technology - RAL White steel housing finished off with a frosted anti- glare PMMA optic/diffuser for subtle, uniform lumen output suitable for a range of commercial environments from office, corridor to retail with high CRI 80+. 2 piece body & cover design with Tridonic® push-wire input makes installation quick and easy, whether it be surface-mount (as standard) or suspension (LSTBT-SUSP) . Available variants include analogue dimming (1-10V). 595mm x 595mm 36W lay in modular LED panel light - benefits from a slim profile RAL white aluminium..
Our newly designed high performance LED panel light takes advantage of developments in LED efficienc.. 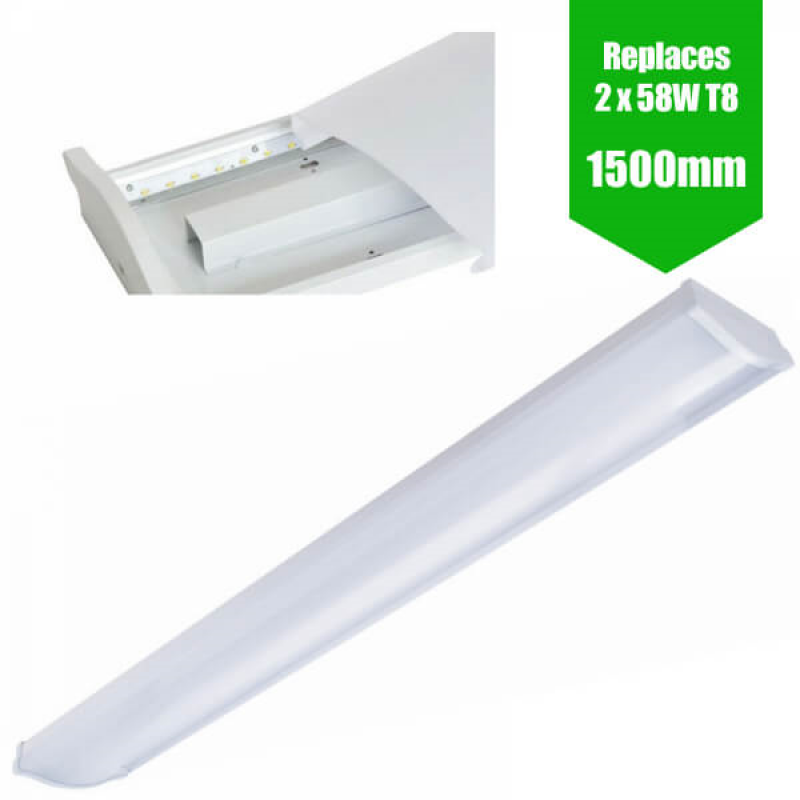 Fantastic value for money and ease of fitting makes our 28W 1800mm / 6ft LED T8 tubes one of our bes.. Decorative LED circular bulkhead 24W - designed to replace conventional 2D CFL fittings with 36% ene..